This is another present that a lovely friend of mine gave me for this Christmas! 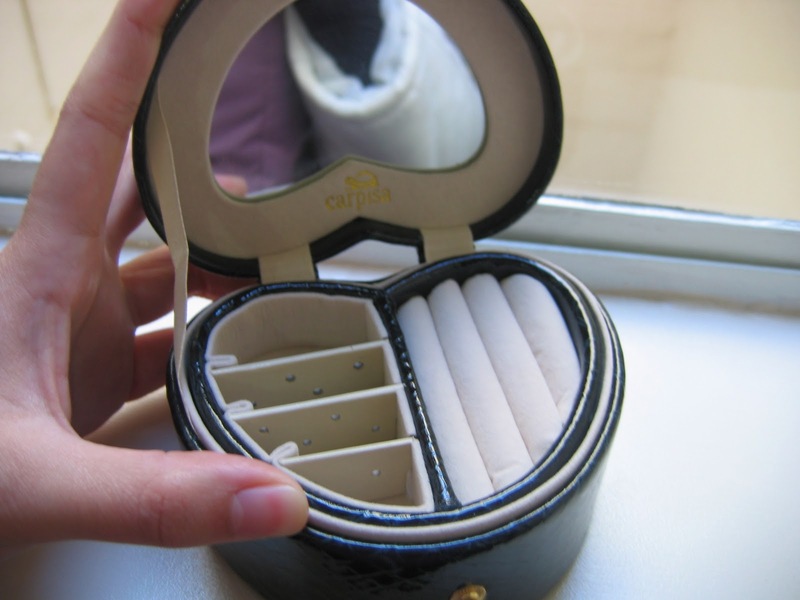 It is a lovely mini Carpisa jewelery box. 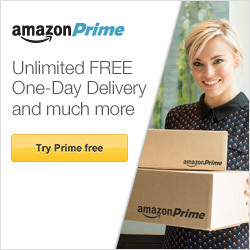 It is quite small and compact and it has a gorgeous dark green shade. 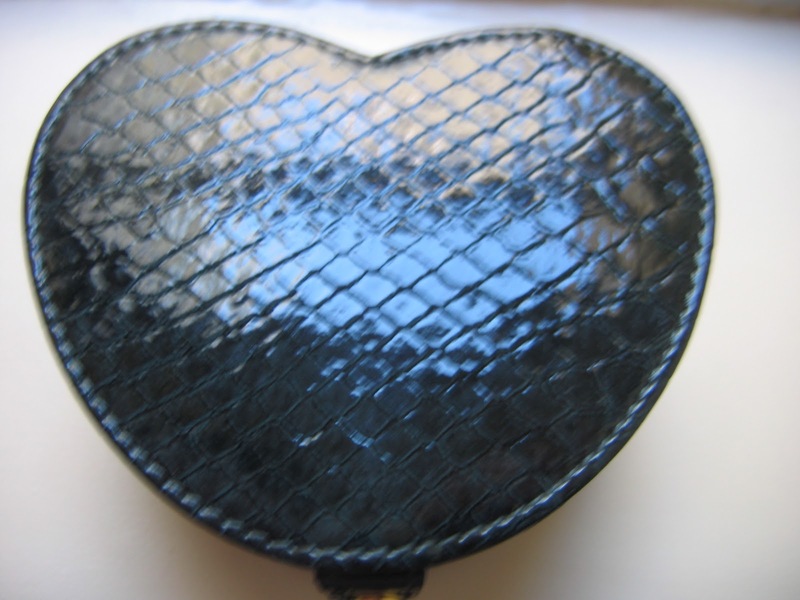 The outside of the jewelry box is in leather and it has this snake skin pattern too it. The inside is then covered with lovely felt material which is really soft. 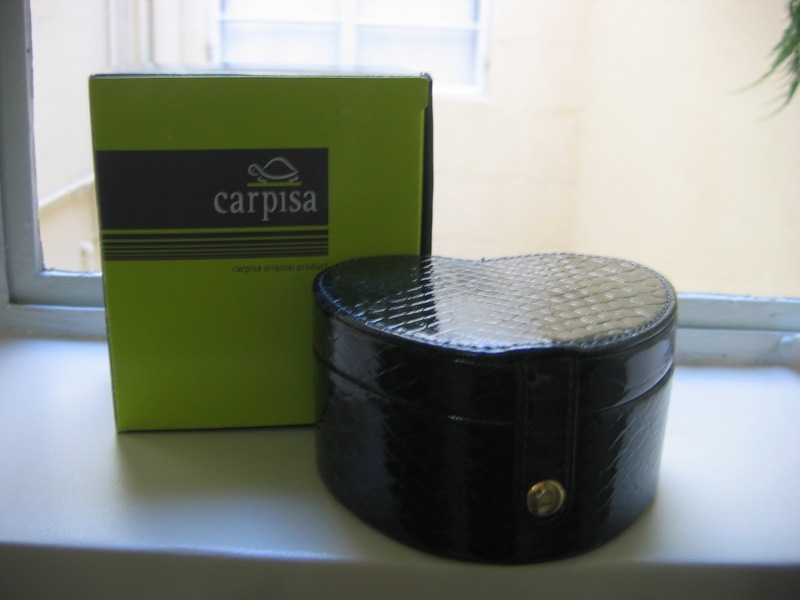 ♥ Have you tried any stuff from Carpisa?